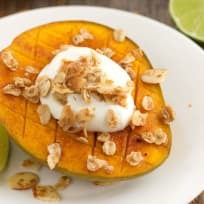 Broiled Mango with Greek Yogurt is a healthy and delicious toaster oven breakfast. 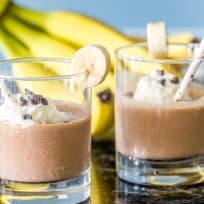 Only six ingredients and 10 minutes to make, perfect for hectic mornings! 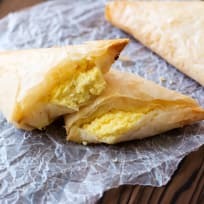 Tiropita are Greek-style hand pies that are light, crispy and filled with feta cheese! 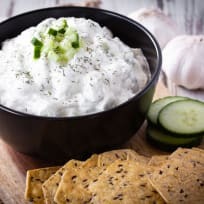 They’re great as party appetizers or served with a light summer salad. Homemade otter pops are the classic summer treat, made healthy. Kids and adults alike will go crazy over them! Chicken salad with Greek yogurt may not be the recipe that Grandma handed down. But don't dismiss it - it's seriously fantastic. Greek yogurt chicken is baked up quickly for a scrumptious dinner. It's hearty in flavor and filling too, thanks to lots of zucchini noodles! Blackberry yogurt muffins make a great start to any day, but especially the day after berry picking! Keep this recipe in your arsenal as Spring comes into full bloom.